What is the best part of Halloween? 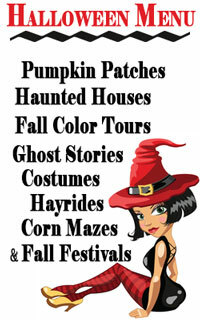 Is it the candy, the parties, the Haunted Houses, the Ghost Stories or the Crazy Costumes? Regardless if you want to dress up to be sweet and cute or scary beyond belief you can find what you need right here. Spend the evening pretending to be someone else, take your costume to a new level with professional makeup, shoes, wild hair and a mask. Below is a complete list of Nashville and middle Tennessee Costumes. Performance Studios has over 15,000 square feet of showroom space and 25,000 pieces of costume rentals, you will experience a shopping experience like never before. Performance Studios is the largest of its kind in the Southeast. The Halloween season is an exciting time! Halloween Express has traveled the planet to find the most unusual, outrageous and most popular Halloween costumes.